Ah, champagne. This sparkling libation makes us so very happy. It is commonly drunk when toasting success or celebrating a milestone, though personally, we simply enjoy it whenever, wherever—which is, in fact, the right way to drink a bottle of bubbly, according to Moët & Chandon winemaker Elise Losfelt. 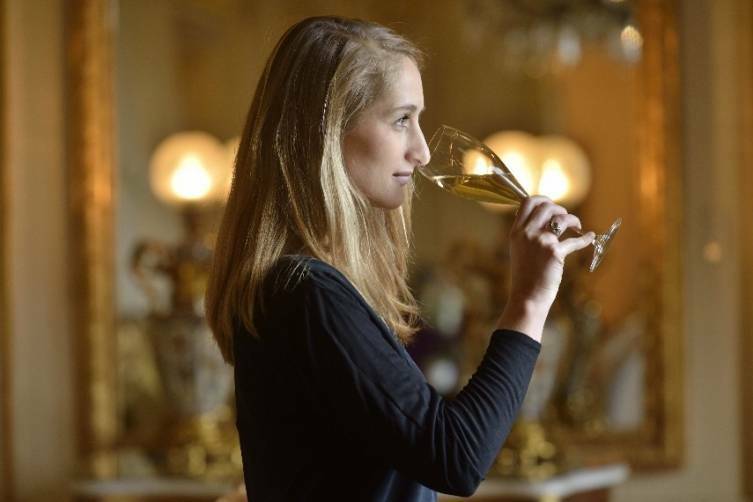 Losfelt is a rarity, given she is one of the industry’s only female winemakers in the Champagne region of France. Here, Losfelt gives seven tips on how to drink champagne in the best way possible, how to serve champagne and her brand’s new release, the Grand Vintage Brut 2006, which debuted earlier this summer. Well, what are you waiting for? It’s time to pop the cork and be merry! Don’t overthink champagne – just enjoy it. Moët Imperial is the world’s most beloved champagne for a reason – it is fresh, fruity and generous on the palate — and it will bring you instantaneous pleasure! That is what we winemakers at Moët & Chandon most look for when we create our champagnes. Chill your bottle of champagne to the right temperature. For Moët Imperial, serve between 45 and 50 degrees F and keep it chilled in an ice bucket filled with water and ice cubes. Don’t forget to use a good champagne stopper in between pours to preserve all the delicious bubbles! A stopper will keep your open bottle fresh for about 1 day, in case you don’t finish in one sitting! Drink champagne out of a white wine glass. While the traditional champagne flute has a very celebratory shape and is perfect for showcasing the stream of escaping bubbles, the white wine glass – with a wider mouth – will give you the opportunity to enjoy all the aromas of the champagne and to savor the complexity of the champagne on your palate. But be careful to fill the glass to only about 1/3 full; if your pour is too large, the champagne may end up too warm. Hold the glass by the stem. If you hold the glass by the bowl, the champagne will warm up too quickly. Plus, by holding the glass by the stem, you will look oh-so-elegant! Surprise and delight your friends with a pairing of truffle French fries or a cheese plate! 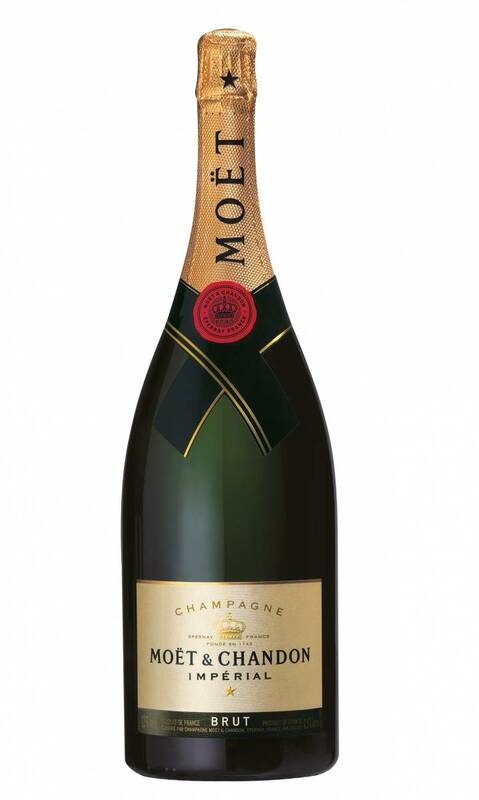 Oily and salty foods bring out the fruitiness and freshness of champagne, and Moët Imperial in particular. Your friends will be thrilled with this casual and delicious approach to champagne enjoyment. Impress your friends even more by hosting a champagne dinner. Start with Moët Imperial for the appetizer and first course, move to Moët Grand Vintage 2006 with the main course and finish by pairing a sweet dessert with Nectar Imperial Rosé. Moët imperial, being driven by its fruitiness and suppleness on the palate will be perfect with a fresh first course – a nice ceviche, for example. Moët Grand Vintage 2006, our most recent release, has a floral, succulent and expansive character marked by intense and deep aromas. While pairing it with fish is perfect, don’t hesitate to try a meat course even with a sauce – the Grand Vintage 2006 has the intensity to match it. If you have a bottle of champagne in your refrigerator now, don’t wait for a special occasion. You will see that by opening that bottle, the special occasion will come to you. Elevate the moment by making it a Moët Moment. Celebrate life every day!